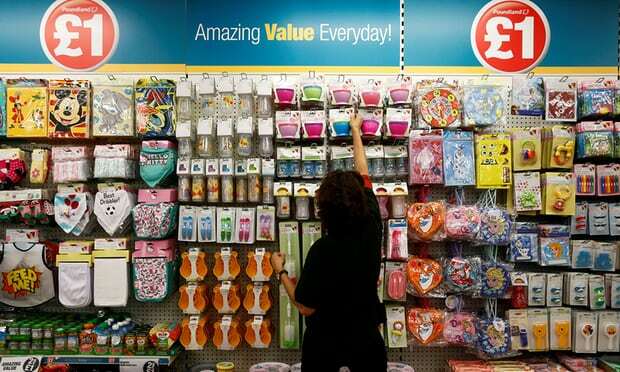 Poundland said it had signed a deal with the DWP to take jobseekers on work experience on condition that it was voluntary [Image: Stefan Wermuth/Reuters]. Poundland seems to be turning into a serial abuser of jobseekers. It is now five years since Cait Reilly (remember her?) took the DWP to court for forcing her to stack shelves at one of the discount retail chain’s stores. It was forced labour, not voluntary, the company paid her nothing (she only received benefit money) and pocketed all the profits. In May 2013, This Writer worked out that companies using jobseekers in this way were making profits of almost £1 billion per year – and were being funded by the taxpayer to do it. The public purse lost more than £16 million in the 2012-13 financial year. Because nobody has ever bothered to stop them. Poundland has been criticised for employing jobseekers, without pay, for up to two months under a deal with the government. It’s not clear how many jobseekers have been used by Poundland under the scheme as the government said it did not collect information centrally and the work experience was managed locally by jobcentres across the country. However, one store in Bolton has taken on 21 placements since last August, according to information provided in response to a freedom of information request by the Boycott Workfare pressure group. It’s nothing new, billion pound companies paying workers minimum wage that’s subs by the tax payers! It’s all a con anyway as the bank of England create money from nothing! I would never work for any retailer or free I would demand the minimum wage of a person over 25 or the wage of other employees doing a similar job, whichever was the greatest, if they said no it’s training you’re here for I would tell them I know how to stack f**king shelves and I know the basics of till operation. I would tell them to either give me a letter stating I would be paid at least the minimum wage for my age or a letter saying I am not required to work there signed by the manager for either letter. They want free labour but they won’t get it from me and I would say to others to tell them the same, Pay us or no work from us. I seem to recall that Poundland were doing this when the Channel 4 series about the work of the now-disgraced provider A4E was shown. This company has grown at an impressive rate, but it has equally quickly gained a reputation for being a bad employer.